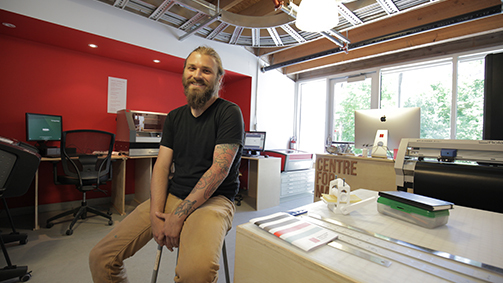 The new Centre for Making at the Haliburton Campus is a space where students in any program can come learn, explore and create using technology as tools for making and prototyping. 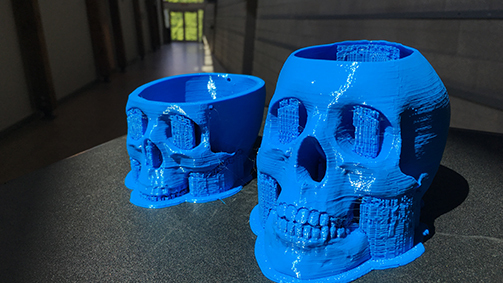 The facility features 3D printers, scanners, laser engraver, vinyl cutter, industrial sewing machine, digital embroidery machine, large scale plotter printer, printmaking press, and CNC machine. Students also have access to laptops, animation stations, and assorted photography equipment. 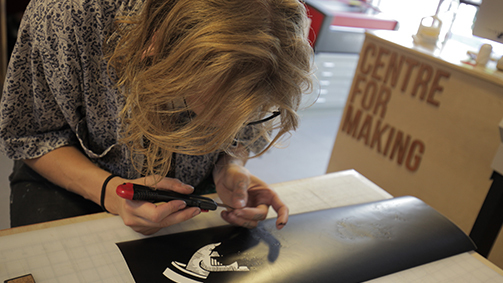 The range of equipment allows students to discover new creative possibilities across different disciplines and enhance their understanding of materials and production techniques.